Ryan Finnie has departed Galabank, looking to step up the leagues with a full time opportunity awaiting him. 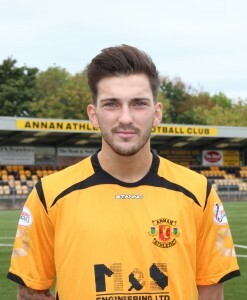 The defender has played a key part in Annan’s season so far, making 17 appearances for the club. Everyone at Annan Athletic would like to wish Ryan all the best for the future.